VISIT THE APP STORE TO PURCHASE YOUR COPY! 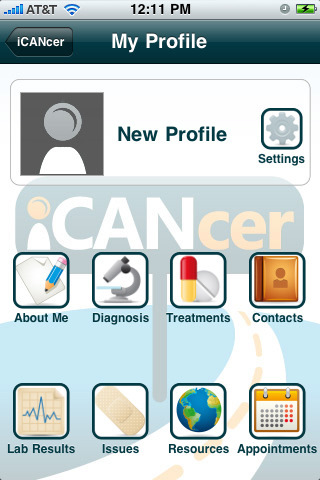 Developed by a two-time cancer survivor, iCANcer is the first app specifically designed to help cancer patients, caregivers, and cancer survivors manage their medical information. This app will personalize the “Cancer Journey” and store all your important medical information including cancer treatments, medications, medical issues, appointment information, and medical contacts in the palm of your hand. iCANcer is password protected and is tailored to capture and export medical information such as current and past medications, chemotherapy, radiation and transplant information. Keep track of important test results and graph lab trends over time. Organize your upcoming medical appointments and keep track of questions for and answers from your doctors. Providing an accurate medical summary including lifetime exposure to chemotherapy medications and radiation as well as previous and current medical issues is important to ensure proper follow-up care. iCANcer helps you manage your medical history and allows you to e-mail a new doctor specific medical information in preparation for an office visit. 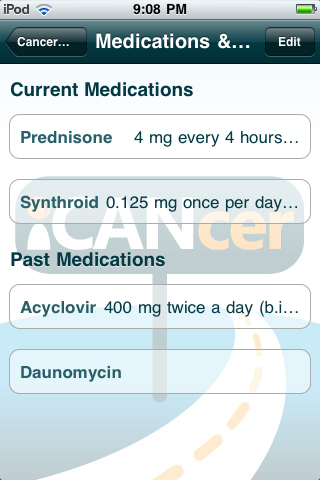 iCANcer allows the user to manage current medications and any noted side-effects. It manages upcoming appointments and provides helpful resources available in the cancer community. It also includes the ability to E-mail specific information for upcoming appointments within the app to the patient or directly to the doctor. Legal Notice: iCANcer is independent of medical centers and government. 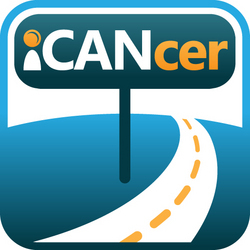 iCANcer does not connect to the internet or store any information elsewhere on your device.